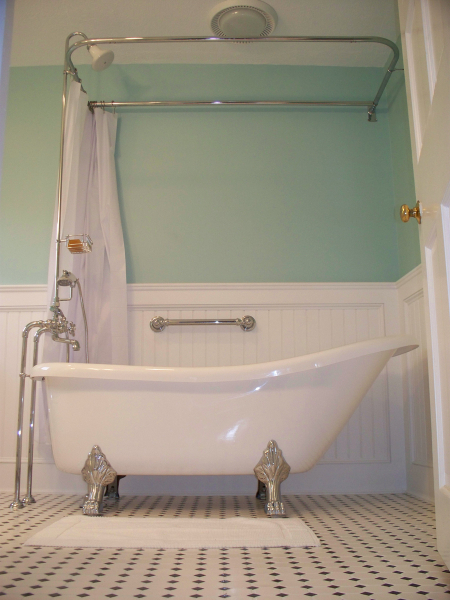 The request for this design came from the homeowners desire to feature a Victorian looking bath for guests as well as bathing her toddler. 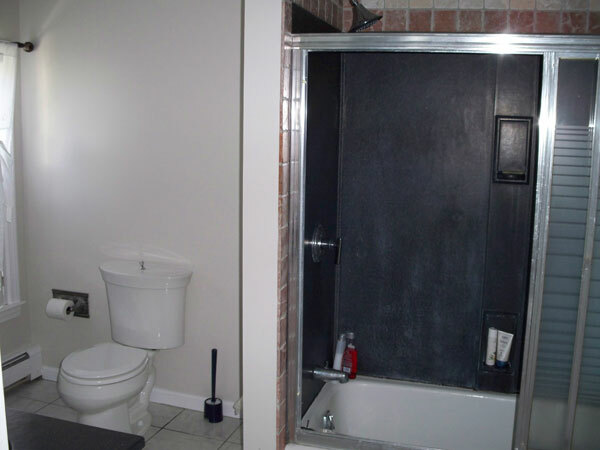 Removing the existing black acrylic shower walls – which was difficult to clean – was first on the list. 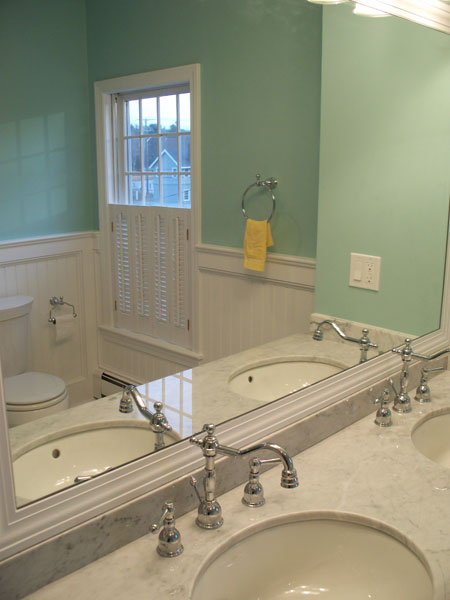 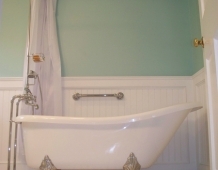 Taking down the wall created a nice open space for the 66″ slipper tub with chrome faucet – the attractive chrome telephone look faucet/shower riser apparatus completed the vintage look. 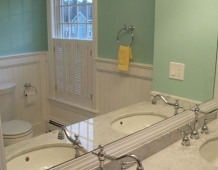 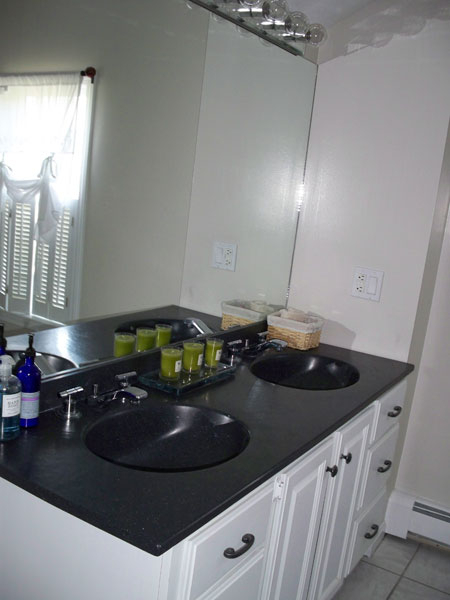 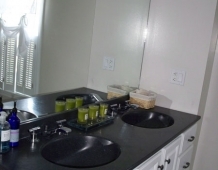 The marble countertop, undermount sinks, portrait toilet, ceramic tile in 1″x1″ white and black pattern is stunning in combination and color is vibrant but calmed by custom bead board painted white, along with several white pieces. 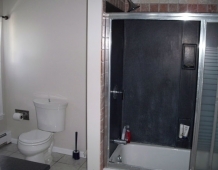 The end results – magnificent!